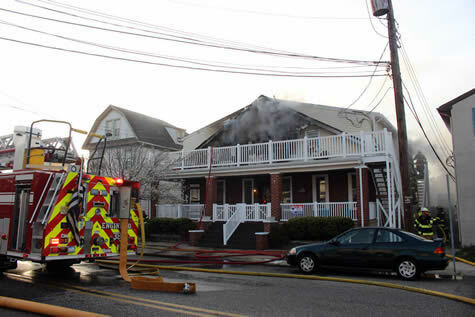 Wildwood City FD Quint 3 (A Platoon) arrived first due at this dwelling fire at 5508 Park Blvd. on March 27th at approximately 18:19 hours. The All Hands assignment also brought Rescue 3 to the scene. A quick knock down of the main body of fire was made by Quint 3. 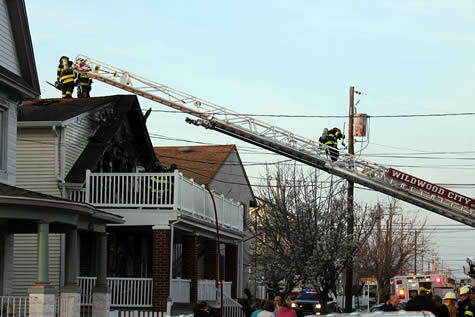 Companies continued opening up and checking for extension. Several occupants were rescued prior to FD arrival. WFD Battalion Chief E. Troiano and Honorary Member John Lynch assisted in those rescues in which children were dropped from a second floor balcony. 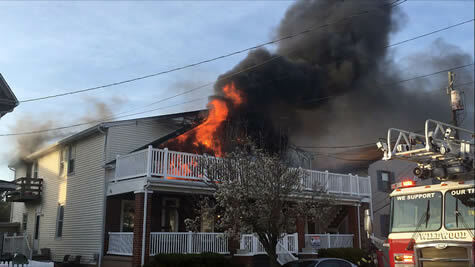 WFD units operated on the scene for approximately 2 hours prior to being released by Wildwood Crest Command. 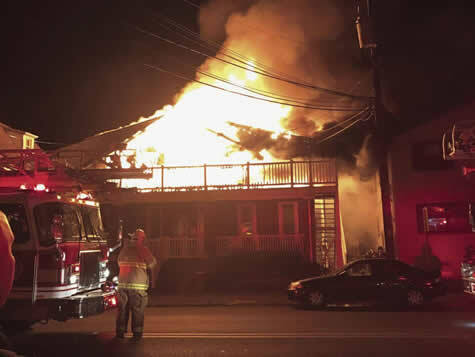 At approximately 01:48 the following morning Quint 3 arrived first due again at the same building and found the second floor fully involved in fire. Rescue 3 and Engine 3 responded as well. WFD units operated again for about 2 hours prior to taking up.